A Quick Find At The Train Station! In 1908 the Grand Trunk Railway constructed a brand new station facility in the growing community of Caledonia. It remained a busy spot until passenger service ended on October 26, 1957. Express parcel service continued until November of 1977 and then CNR used the Station as a maintenance depot until 1988 when the windows were boarded-over. The Caledonia Station remained in disrepair until September 1996 when a crew of twelve dedicated volunteers with the Caledonia Chamber of Commerce Special Projects Committee began renovations. The official opening of the newly renovated station was held November 27, 1997, just fourteen months after work began. The Grand Trunk Station Society, a non-profit group, was formed to oversee the continued restoration, maintenance and operation of the Station facilities. Today, restored to Grand Trunk splendor, the station is once again a busy spot accommodating the office for the Caledonia Regional Chamber of Commerce, a year-round Tourist Information Centre, a meeting place for Chamber and other community activities, small gathering rentals as well as being a popular museum of local railway artifacts, displays and an operating “G” scale model train. 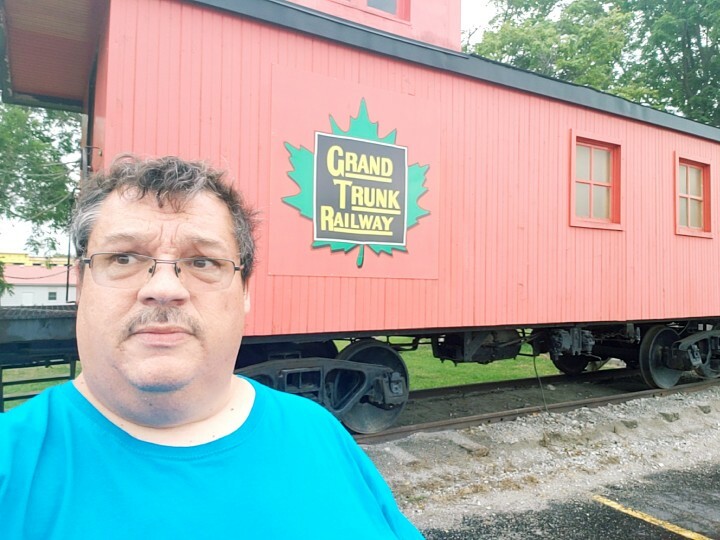 Please Take A Picture With The Caboose Located Just Near The Station!